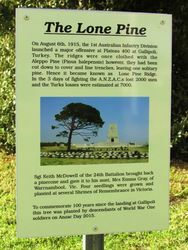 A Pine tree commemorates 100 years since the landing of the ANZAC Forces at Gallipoli in Turkey during World War One. On August 6th 1915, the 1st Australian Infantry Division launched a major offensive at Plateau 400 at Gallipoli in Turkey. The ridges were once clothed with the Aleppo Pine ( Pinus halepensis) however, they had been cut down to cover and line trenches, leaving one solitary pine. Hence it became known as Lone Pine Ridge. In the 3 days of fighting the A.N.Z.A.C.S. lost 2000 men and the Turks losses were estimated at 7000. Sgt Keith McDowell of the 24th battalion brought back a pinecone and gave it to his aunt, Mrs Emma Gray, of Warrnambool, VIC. 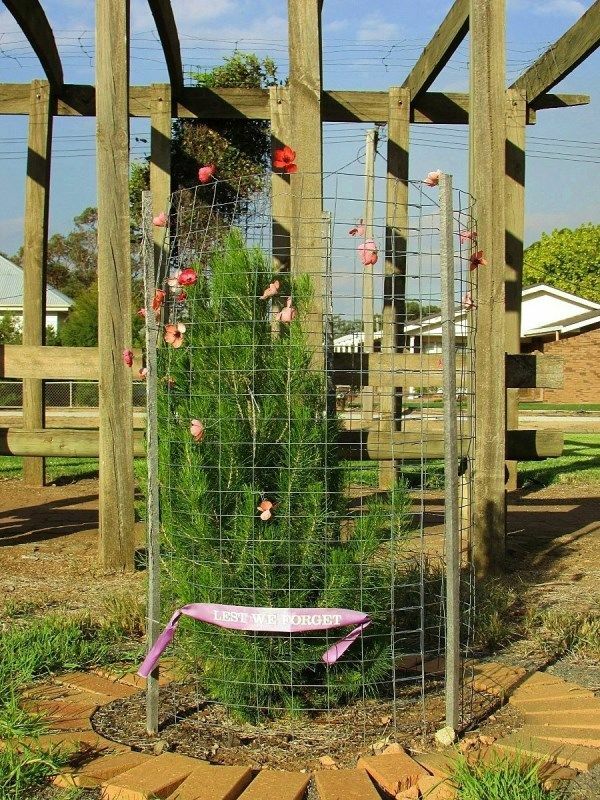 Four seedlings were grown and planted at several Shrines of Remembrance in Victoria. 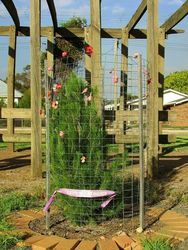 To commemorate 100 years since the landing at Gallipoli this tree was planted by the descendants of World War One soldiers on Anzac Day 2015.